The St. Elizabeth’s Center for Heart Failure Treatment is among the leading treatment centers in the New England region. The team of heart failure specialists at St. Elizabeth’s Center for Heart Failure Treatment are experts at diagnosing and treating heart failure as well as other complex conditions involving the heart. The multidisciplinary team of cardiologists, cardiac surgeons, nurses, and support staff work with each patient to develop an individualized treatment plan. One of New England’s busiest centers for CardioMEMS HF: an implantable, wireless monitoring sensor for outpatients with heart failure. 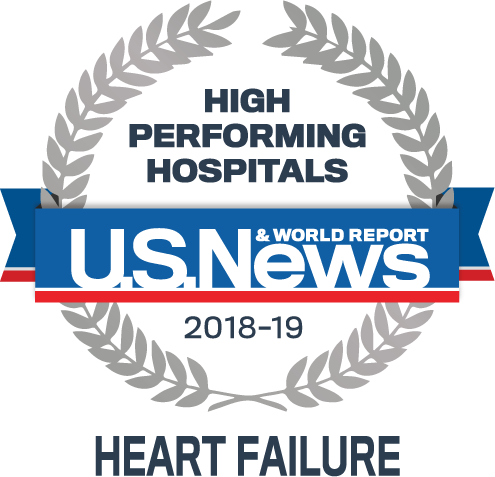 The CardioMEMS HF System is the first and only FDA-approved heart failure monitoring device proven to significantly reduce hospital admissions for heart failure and improve quality of life for advanced heart failure patients. The Center for Heart Failure Treatment supports the educational efforts of the Heart Failure Society of America. Learn more about heart failure by watching this educational video.